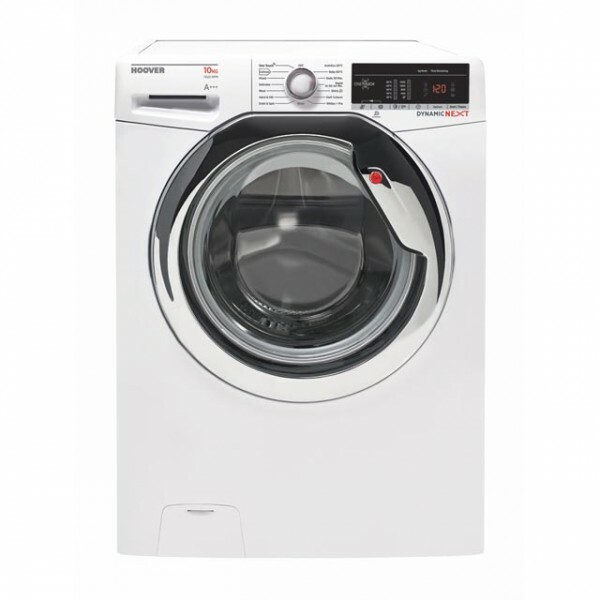 Product information "Hoover DXOA510C3 Washing Machine"
This washing machine’s 10kg drum has plenty of space for your clothes and gives them more room to move around in, so they’ll get a better clean. A washing machine’s wash load capacity is measured by how much weight the drum can take so the more laundry you tend to do, the bigger the drum you’ll need. This Hoover washing machine has been awarded an energy rating of A+++. Energy ratings run from A+++ to D so the higher the rating, the better your washing machine will be for the environment and the more money you will save each year on your energy bills. ProgrammesThe Hoover DXOA510C3 freestanding washing machine has 17 programmes tailored for various fabrics. Thanks to having 17 programmes and with an easy to understand display, you can make sure that your clothes are washed perfectly — every time. Related links to "Hoover DXOA510C3 Washing Machine"